Welcoming rising literary star, Bethan Roberts, to a Mostly Books evening to discuss her book ‘My Policeman’ was very much a celebration as well as a literary event, as she was born and brought up in Abingdon. It was for the second of our Abingdon ‘Big Reads’, when book groups and others are invited to read the book in advance if they want to and come along and discuss it with the author. As well as a good turn out of book group members, it was fantastic to see so many of her family and old school friends in Abingdon Library on Thursday August 9, delighted to share in her success. ‘My Policeman’ is the story of two people in love with the same man and was inspired by novelist EM Forster’s relationship with a married policeman. Bethan has translated the story to 1950s Brighton and made it a much darker story. Forster ended his days being nursed by the wife of his long-time lover, and this was what particularly drew Bethan to the story. ‘She was the one who was holding his hand when he died and that’s the scene I wanted to earn in the novel,’ she said. The book has a dual narrative, that of Marian, the woman who has been in love with the gorgeous Tom her whole life and triumphantly marries him against the odds. But there is already a shadow in the long-term relationship in Tom’s life, and we also see the events unfolding from Patrick’s point of view. It is mostly an utterly absorbing, doomed love story - but it’s also a dramatic portrait of the era and has a great rising tension through the whole story as the consequences of not facing up to reality begin to unfold. 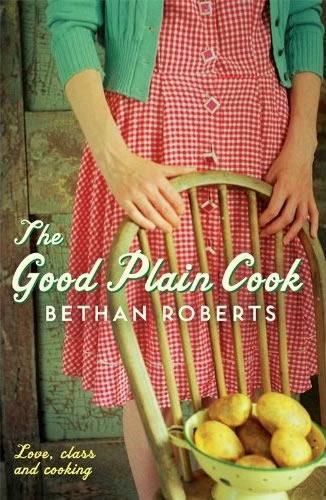 It is the third of Bethan Roberts’ books, all of which have been inspired by real-life events. ‘The Good Plain Cook’ was set in the 1930s – and was inspired by a period in which Peggy Guggenheim lived in Sussex. In her first book ‘The Pools’ set in the 1980s, the action was a little closer to home, in a town not dissimilar to Abingdon. It is based on a murder that happened when Bethan was growing up and the influence and impact remained in her memory. Having an historical setting helps her in imagining the story, she says, and ‘takes away the terrible fear of the blank page’. 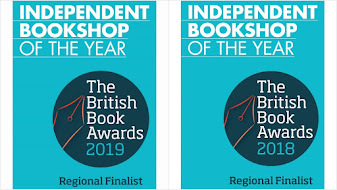 ‘My Policeman’ has just been nominated for The Guardian’s ‘Not the Booker’ (for notable books that didn’t make it to the 13 on the Booker Prize Longlist). It builds on her already growing reputation as a young novelist to watch. ‘The Good Plain Cook’ was a Radio 4 Book at Bedtime. ‘My Policeman’, set in Brighton, where Bethan now lives, has been picked as the summer ‘City Read’ in the city – where it will be celebrated across the city. 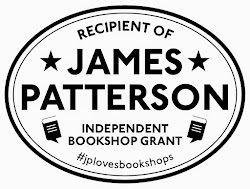 Local people won’t just read the book and meet up to discuss it, but will hold events such as recreating scenes from the book and vintage make-up parties. With such a show of support from family and friends, there were plenty of questions about how she became a writer in the first place and what a writer's life is like. 'What is the best thing about being a writer?' she was asked. 'It's a bit like being a reader, but more intense. As a reader you imagine worlds in your head. You get lost in a novel and live their experiences. All of these things happen to writers, but you are in control of it. It makes life quite rich as you have real life and an imaginary life. I also like signing books. Her ambitions, she said, don’t tend to get ahead of worrying if the sentence she just wrote is good enough or whether her next book is likely to be taken. Huge thanks to Bethan for coming to Abingdon, for such an absorbing event, and also to Lynne and the team at Abingdon Library for such a brilliant 'Big Read' event.